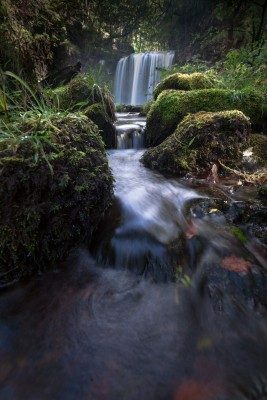 For this hiking weekend we will be visiting the spectacular Brecon Beacons (Pen y Fan circular) on the Saturday, and the popular Waterfalls Walk on the Sunday. An ideal location for a spring weekend away. We have accommodation booked at YHA Brecon Beacons (Libanus) which is only a 4 hour drive from West London, meaning a decent arrival time on Friday evening, and the chance to do a decent walk on the Sunday – and still be back in London at a good time later on Sunday evening. We will depart from London on Friday evening and drive to our accommodation at Brecon Beacons. If you need a car share transport option for this weekend, we can organise this for those who need it, details of this option will be announced nearer the time (please indicate this as a requirement when booking your ticket). You are welcome to make your own way to the accommodation and the starting points, if you prefer. 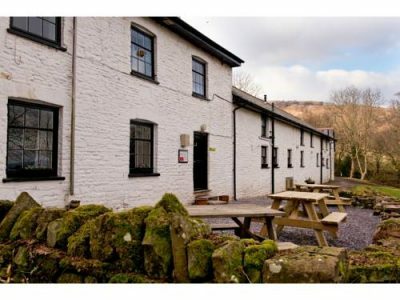 The hostel is a former 18th Century inn is a beautiful rural retreat in the corner of the Brecon Beacons. It has spectacular views of the Sawdde Valley. All bedding is provided, but you will need to bring a towel and toiletries. 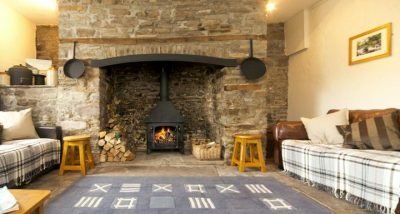 The hostel features a comfortable lounge with plenty of sofas and arm chairs, great self-catering facilities and a handy drying room for muddy clothes. Want to get cooking in our guest kitchen? You’ll find three fridges, one freezer, a microwave, a cooker, a kettle and toaster, plus lots of pots, pans, cutlery and crockery. On Saturday our hike will start at the Storey Arms Centre (a short 5mins drive from our accommodation). Our route 16Km (10 miles) will then go uphill to Corn Du (873m) – once on the ridge, more summits will quickly follow (Pen y Fan 886m – the highest in the National Park and Cribyn 795m) – we then decent into the valley and head south until we reach Lower Neuadd Reservoir. Stopping at the damfor a quick lunch, we then go uphill to gain the ridge again – heading north back towards Corn Du and then descending before returning back to the car park. After the walk we will return to the accommodation for showers, before our evening meal which is a YHA Supper Club Meal (vegetarian option is available). Self-catering is also available for those who choose this option. On Sunday, after breakfast, we will be doing the popular Waterfalls walk 13Km (8 miles). The start is approx 30 mins drive from the accommodation. The route passes through woodland as it follows 2 different rivers. There are many photographic opportunities of the various waterfalls including 2 that you can walk behind (Sgwd Gwladus and Sgwd yr Eira). We plan to finish around 4pm and anticipate being back in London by approx 8pm.